Kobayashi T, Suzuki E, Yamazaki N, et al. Fibular malalignment in individuals with chronic ankle instability. J Orthop Sports Phys Ther. 2014;44(11):872-878. 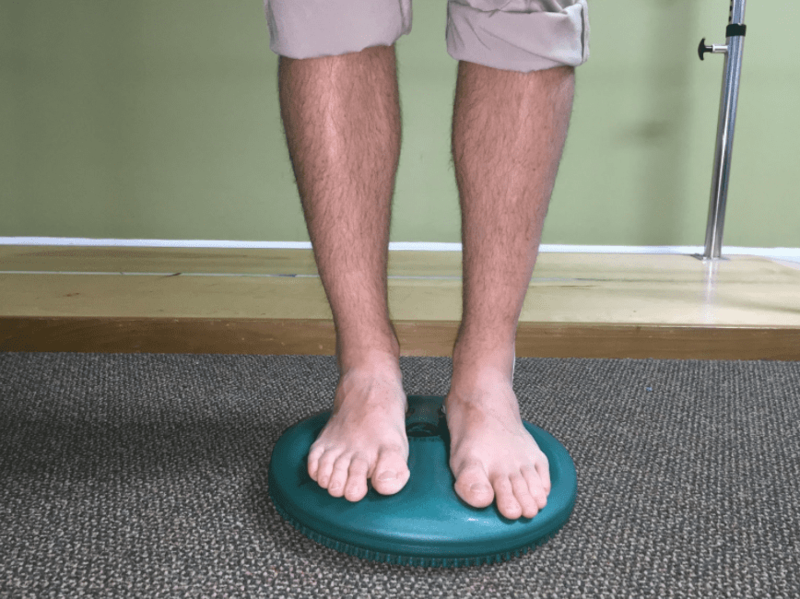 Many different fibular positions have been indicated with chronic ankle instability in 2-D studies; however, none of the studies are in full agreement with their findings. According to Kobayashi et al, studies utilizing CT scans found a posterior placement of the fibula while many radiographic studies found that there was an anterior placement of the fibula. This study was performed to analyze the 3-D position variations of the ankle with computed tomography in a non-weight bearing position in subjects with chronic ankle instability. The study hypothesis was that the fibula of an ankle with chronic ankle instability would exhibit a posterior and lateral position in relation to the tibia. The inclusion criteria were: healthy male, at least 2 episodes of unilateral ankle sprain in the year prior to the study, multiple episodes of giving way unilaterally especially during sporting events, side-to-side differences on figure 8 hop test and side hop test and a contralateral ankle without dysfunction. The exclusion criteria were: ankle sprain within the past 3 months on the lateral side, any history of a neurological deficit (CVA, neuropathy) or lower extremity injury, and any history of using medication that could affect balance. Seventeen participants were chosen for this study that exhibited unilateral chronic ankle instability (CAI). All participants were tested with stress radiography bilaterally in order to screen for any type of mechanical instability that could be present. 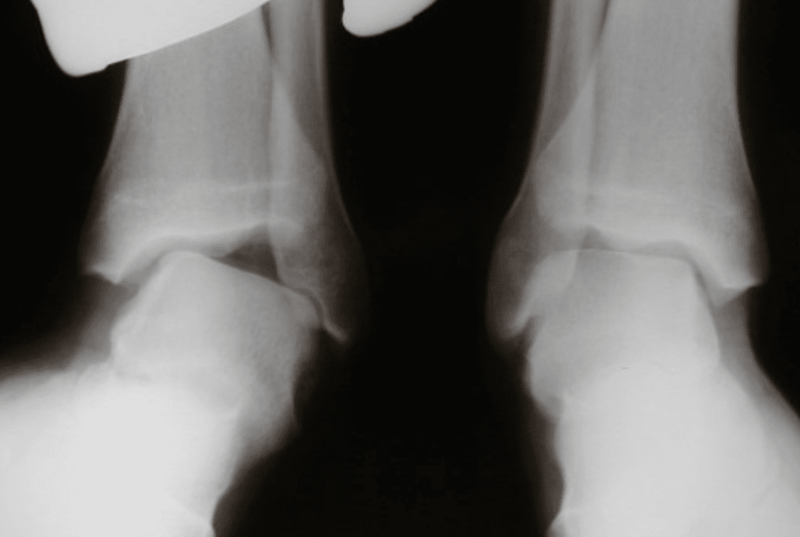 The stress radiography included an Anterior Drawer test (Figure 1) and a Talar Tilt test (Figure 2). The study’s definition of mechanical instability was equal to or greater than 3 mm difference with the anterior drawer test between affected and non-affected side as well as a talar tilt of 3 degrees or greater. The participants had non-weight bearing CT scans performed in 1 mm slices from the distal 10 cm of the lower leg to the distal end of the calcaneus. The ankles were held in a neutral position during the scanning. From the CT imaging, bone models were formulated and measurements were taken 10 cm proximal from the lateral malleolus, 5cm proximal from the lateral malleolus and at the most prominent part of the lateral malleolus. 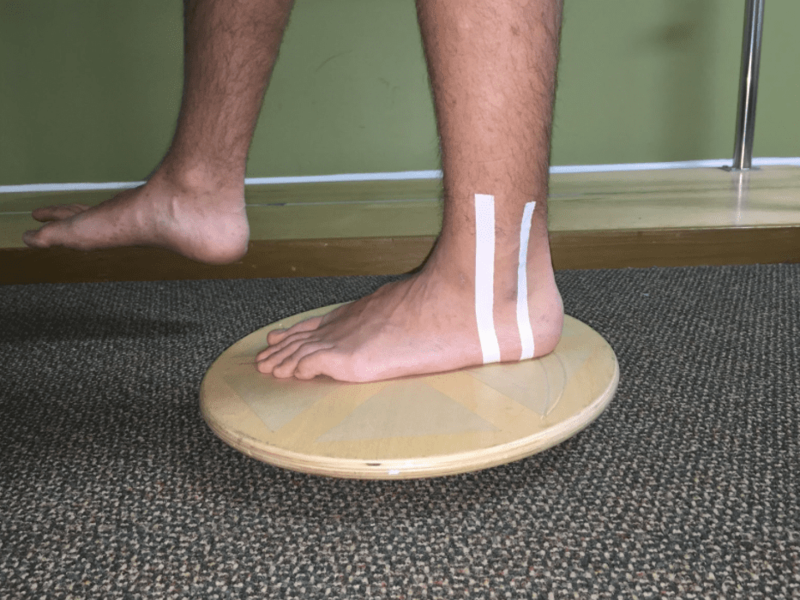 In this study, there was not a significant difference in the affected and non-affected ankle in anterior and posterior positioning of the fibula. However, there was a significant difference in lateral positioning of the fibula as well as a slight difference in external rotation of the fibula when looking at the affected versus the non-affected limb at all three of the markers that were measured as previously mentioned. Figure 5: Single leg stance balance exercise with dynamic activity with contralateral LE. Leeds HC, Ehrlich MG. 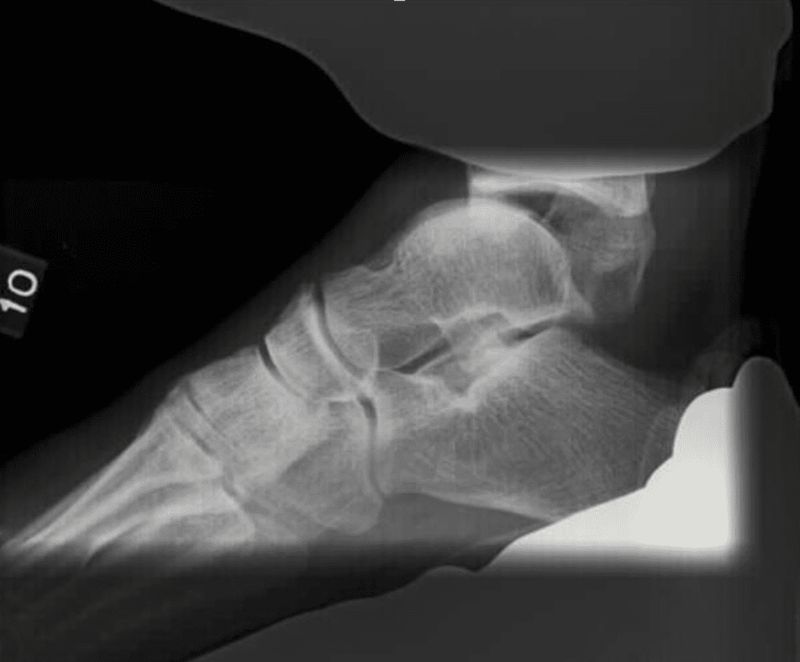 Instability of the distal tibiofibular syndesmosis after bimalleolar and trimalleolar ankle fractures. J Bone. 1984;66(4):490-503. Harley JD, Mack LA, Winquist RA. CT of acetabular fractures: comparison with conventional radiography. Am J Roentgenol. 1982;138(3):413–417. Dikos GD, Heisler J, Choplin RH, Weber TG. Normal tibiofibular relationships at the syndesmosis on axial CT imaging. J Orthop Trauma. 2012;26(7):433–438. Wang Q, Whittle M, Cunningham J, Kenwright J. Fibula and Its Ligaments in Load Transmission and Ankle Joint Stability. Clin Orth Rel Res. 1996;330:261-270. Gerber JP, Williams GN, Scoville CR, Arciero RA, Taylor DC. Persistent Disability Associated with Ankle Sprains: A Prospective Examination of an Athletic Population. Foot Ankle Int. 1998;19(10):653-660. Eils E, Rosenbaum D. A multi-station proprioceptive exercise program in patients with ankle instability. Med Sci Sports Exerc. 33(12):1991-1998. 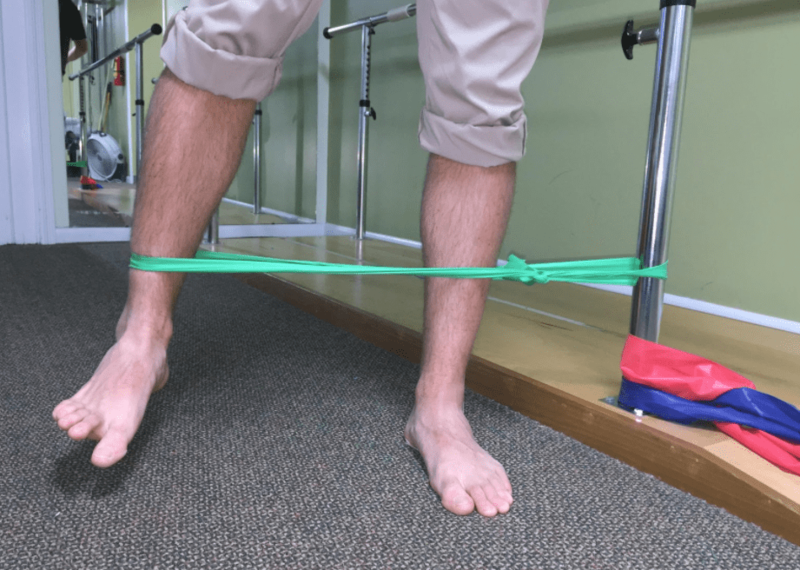 Rozzi SL, Lephart SM, Sterner R, Kuligowski L. Balance training for persons with functionally unstable ankles. J Orthop Sports Phys Ther. 1999;29(8):478-486. 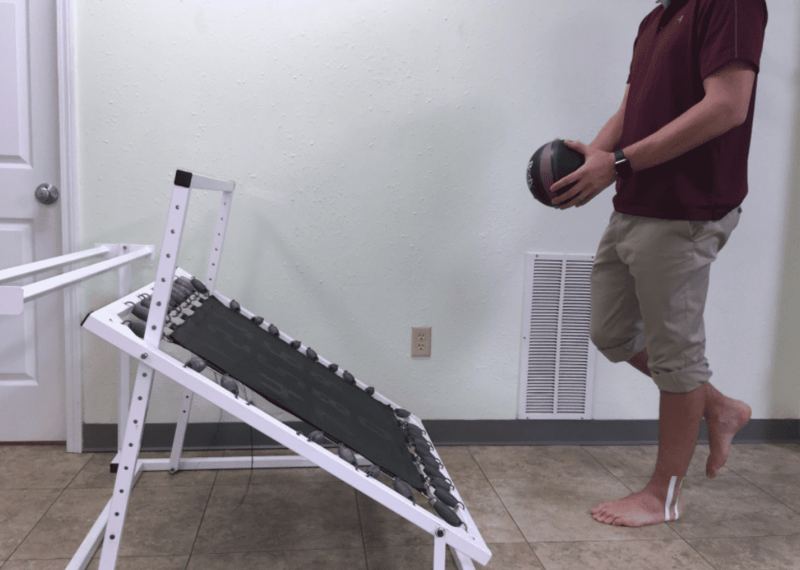 Sekir U, Yildiz Y, Hazneci B, Ors F, Aydin T. Effect of isokinetic training on strength, functionality and proprioception in athletes with functional ankle instability. Knee Surg Sports Traumatol Arthrosc. 2007;15(5):654-664. Matsusaka N, Yokoyama S, Tsurusaki T, Inokuchi S, Okita M. Effect of ankle disk training combined with tactile stimulation to the leg and foot on functional instability of the ankle. Am J Sports Med. 2001;29(1):25–30. Ashton-Miller JA, Wojtys EM, Huston LJ, Fry-Welch D. Can proprioception really be improved by exercises? Knee Surg Sports Traumatol Arthrosc. 2001;9(3):128-136.